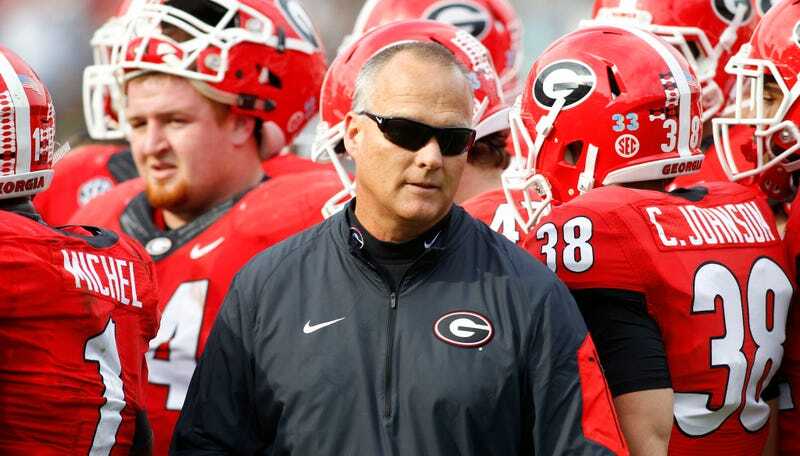 Mark Richt has been fired by Georgia this morning, according to a report from Mark Schlabach. The Bulldogs wrapped up a 9-3 regular season yesterday with a win over Georgia Tech and are bowl-bound. He has been at the school since 2001, and has led the team to two SEC championships and nine bowl wins. Richt will coach the team’s bowl game. Richt’s job security has been less than secure for much of the second half of his tenure. Back-to-back losses against Tennessee and Alabama, the former of which featured a blown 21-point lead. Richt hasn’t beaten Alabama since 2007. The Miami job would make a lot of sense for Richt, who went to school there.